BiblicalEthic.org - Hobson's Biblical Choice Blog - Come Clean, Ye Saints? 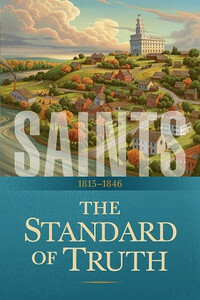 The release of the first volume of Saints: The Standard of Truth was heralded as a courageous move by the LDS church to deal frankly with problems in its history (see http://www.kuer.org/post/mormon-church-tries-more-honest-approach-its-history#stream/0). It comes as an official publication of the Church History Department, with 6 writers and 8 editors named, and a front-page endorsement from the First Presidency. There is real demand for this book: customers cleaned out all 50 copies at Seagull Book in Springville, Utah! And although the book is 550+ pages plus 100 pages of references, it was surprisingly cheap (only $5.75). Yes, this book does inch forward toward addressing painful topics in LDS history, such as Joseph’s money-digging past, his deception of Emma over his multiple wives, and the fact that Joseph defended himself with a six-gun at his death. But if you were expecting a radical new level of “honesty” in LDS history-telling in this book, you will be disappointed. For instance, I was led to believe that the book would grapple with the issue of Joseph and Emma Smith’s struggle over his taking of additional wives. However, Joseph’s taking of wives who were married to other men is treated as if the women were only being sealed to him for eternity and not for time, i.e. the present life. The fact that Joseph deceived Emma over wives he had already taken for time as well as eternity is acknowledged, but as briefly as possible. In contrast to Leonard Arrington and Davis Bitton’s The Mormon Experience (1979), Saints: The Standard of Truth reads less like a work of historical scholarship and more like a novel. And although the book is heavily footnoted, not surprisingly, the references are highly selective. We hear Emily Partridge Young’s version of how Emma Smith dealt with her husband’s taking of multiple wives, but she was one of Joseph’s plural wives. There are plenty of sources left out that would give us a different picture of how Emma handled her predicament. Obviously, no one expects the LDS History Department to give the same spin on historical evidence that we would get from Fawn Brodie’s No Man Knows My History or Jerald and Sandra Tanner’s Mormonism: Shadow or Reality? However, I appreciate it when an historian acknowledges data that presents a different story than the version that the historian chooses to believe. While I find Fawn Brodie is too quick to employ naturalistic explanations in her telling of Joseph Smith’s story, I find the collection of data she provides to be more helpful than an approach that fails to give me details that I would have wanted to know. The book addresses Joseph’s use of his seer-stone to dig for money, a fact strongly denied by scholars until 1971, when Rev. Wesley Walters unearthed an original court document that Joseph was tried in court for this practice in 1826 and paid a fine of $2.68. However, the Walters discovery is not even mentioned in the book’s footnotes. The book claims that Joseph was acquitted. Sources quoted in the KUER article worried whether some LDS readers might lose their faith over what they read in this book. I sincerely doubt it. There are no bombshells or sizzling concessions to critics here. Anyone who begins with the a priori assumption that whatever Joseph does must be OK with God should have no problem with this book. 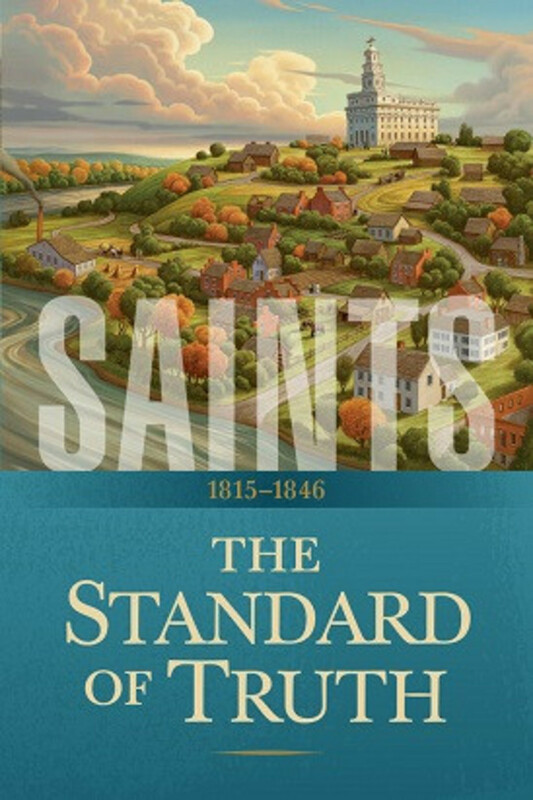 I feel that former official Church Historians Arrington and Bitton actually produced a better history than what I find in Saints: The Standard of Truth. True, their book doesn’t read like a novel, but it does a better job in using all of the historical puzzle parts in the box as they piece together their picture of Joseph.